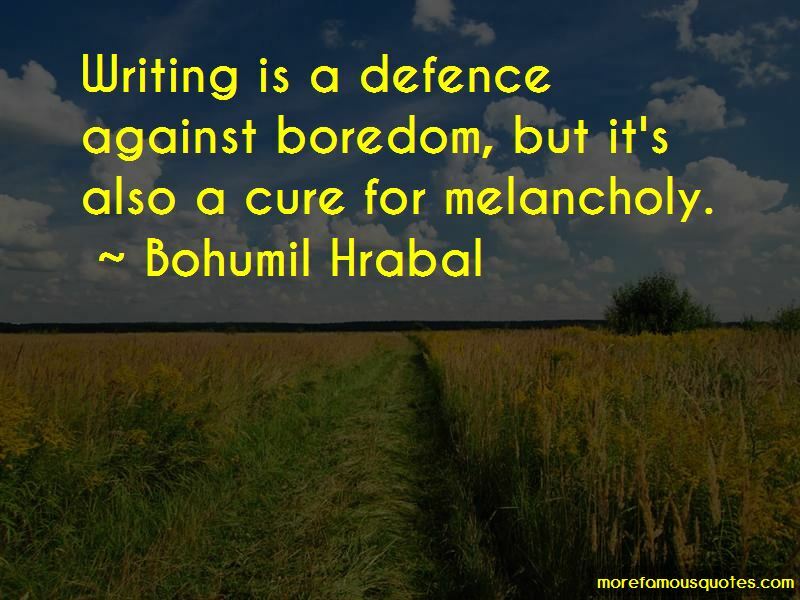 Enjoy the top 28 famous quotes, sayings and quotations by Bohumil Hrabal. 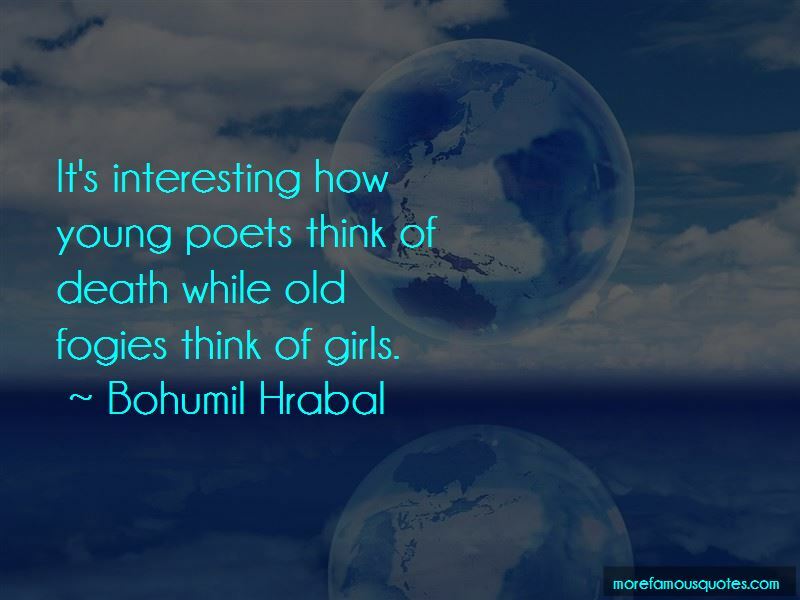 It's interesting how young poets think of death while old fogies think of girls. And I look on my brain as a mass of hydraulically compacted thoughts, a bale of ideas, and my head as a smooth, shiny Aladdin's lamp. Through the station went a goods train, spitting sparks from its chimney. Viktoria stood at the window and combed those sparks out of her hair. Most of all I enjoy central-heating control rooms, where men with higher education, chained to their jobs like dogs to their kennels, write the history of their times as a sort of sociological survey and where I learned how the fourth estate was depopulated and the proletariat went from base to superstructure and how the university-trained elite now carries on its work. 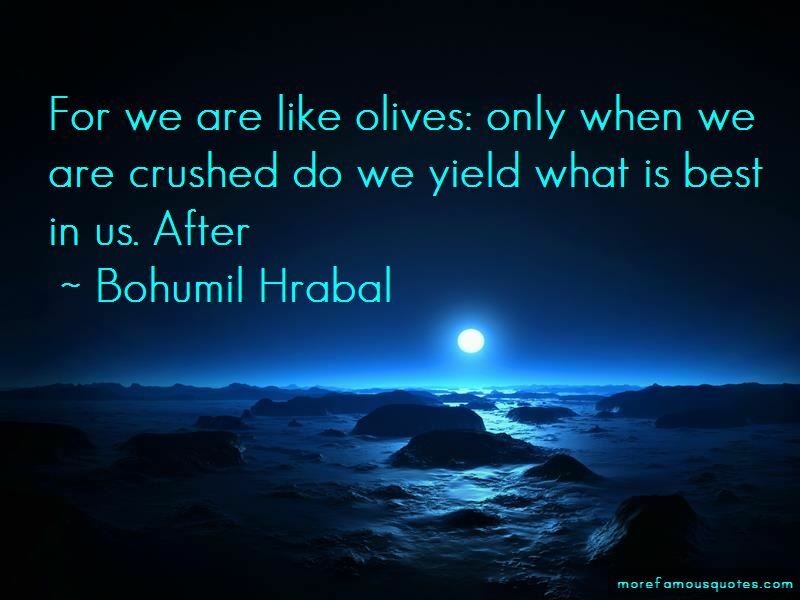 Want to see more pictures of Bohumil Hrabal quotes? 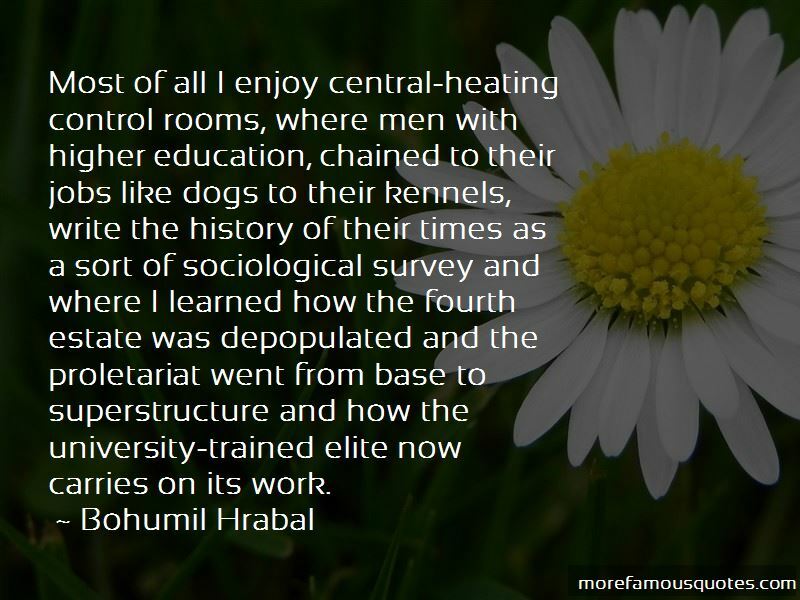 Click on image of Bohumil Hrabal quotes to view full size.